In 28 newly-commissioned chapters, distinguished contributors provide an up-to-date overview of sociolinguistics. This invaluable work of reference, now available in paperback, identifies the most important issues of sociolinguistics, makes primary sources more accessible, and provides orientation for future research. Reflecting the main division within the discipline, the two key sections deal with the social dimensions of language and the linguistic dimensions of society. 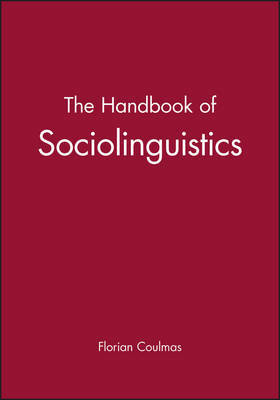 In addition, there is an introductory section taking issue with the theoretical and methodological foundations of sociolinguistic knowledge which have proved to be especially fruitful in recent years: education, bilingual education, the legal profession and language planning. The Handbook is equipped with a comprehensive bibliography which can be used as a research tool in its own right.